City Center Collision Services is one of the best classic auto body repair shops in the University Place, WA area, offering excellent service from the year 1998. 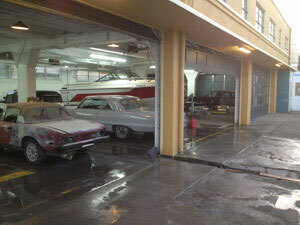 We are a classic auto body repair shop in the University Place area. We deal with all types of collision repair–mechanical, as well as damages suffered in the car’s body. Vehicle collisions are traumatic experiences, and with our classic auto body repair shop in the University Place area, you can lessen your woes. If you are looking for a classic auto body repair shop to repair custom auto body in the University Place area, you have us. Our classic auto body repair shop can help you repair your vehicle damaged in the collision. When it comes to luxury auto body in the University Place area services, you must make it a point to contact us, City Center Collision Repair Services, in the University Place area. So, in case of unfortunate collision and damage of your luxury auto body parts, contact our custom auto body repair service at 253-948-4655 to offer towing services.